New baseball bats for the 2018 season! DeMarini's CF Zen is their lightest swinging, fully composite stick with unbelievable balance. This two-piece construction is created out of the insanely durable Paraflex material that is 22% stronger than all previous composite materials. From the end cap all the way to the handle, DeMarini has distributed the weight with precision accuracy for complete control during every at bat. Player driven innovation has helped DeMarini continually push the limits of bat technology and performance. The latest feature associated with DeMarini's most advanced lineup yet is their 3-Fusion System. This one-of-a-kind design includes the streamlined 3-Fusion handle along with the lightweight 3-Fusion end cap that optimizes weight for better overall control at the plate. With a sleek design, the 3-Fusion handle provides a serious reduction of vibration in the hands and a noticeable difference in flex on contact that helps transfer negative energy into the barrel for maximum power and ball flight. If you're looking for a baseball bat to help step up your game, the CF Zen series is what you need. DeMarini: Can't Stop! This 2018 DeMarini CF Zen BBCOR Baseball Bat (WTDXCBC) features a standard 2 5/8-inch barrel diameter, a drop 3 length to weight ratio, and the BBCOR certification stamp for high school and collegiate approval. To top it off, DeMarini is backing each model with a full twelve (12) month manufacturer's warranty so that you can swing with certainty. Order one of these DeMarini baseball bats today with free shipping and don't forget, we're here from click to hit! Pros: I had a chance to demo this bat and I can say without a doubt it's the best bat I've ever swung before. The feeling on contact is incredible. I think that new 3Fusion system is legit and not just more marketing Mumbo jumbo. I can't speak to the durability because I've only used it in a batting cage once but I gave it a five out of five stars anyways because I've never had a problem with DeMarini bats. Cons: The price tag :( Ugh. $450?! That's way outside of budget. Maybe next year when it's a close out. Cons: Bought this bat after having last years model and complete opposite bats. Was very satisfied with last years model, lots of pop. Went to hit with this and felt dead from the start, not to mention the bat started cracking near the handle. Dont waste money or time buying this bat!!! Pros: This bat has great feel with great pop. I hit with it and off the bat I knew it was an amazing quality bat. Well built with passion. Pros: this bat obviously doesnt have much pop due to strict BBCOR regulations. but it is definitely a better bat than most bbcors. ive hit off the end cap a few times and nothing has been damaged and the vibration is amazing. the pop is really good for a BBCOR bat. Cons: the grip tape is not very good, it is designed to feel good with demarini batting gloves. they want you to spend extra money on the gloves, that brings the general feel down a bit. you have to square the ball up pretty good to get the pop from it. otherwise great bat! Pros: This bat has an amazing feel from the beginning. Even with the composite feel it has great pop from the beginning. It is definitely game ready right away. It is extremely balanced as well. When hit on the sweet spot the ball flies amazingly with great carry. It feels awesome in ones hands. Cons: The grip gave me one blister but that's a minor so just put lizard skin on it. For more reviews on this bat follow bencbaseballkid5 on Instagram. 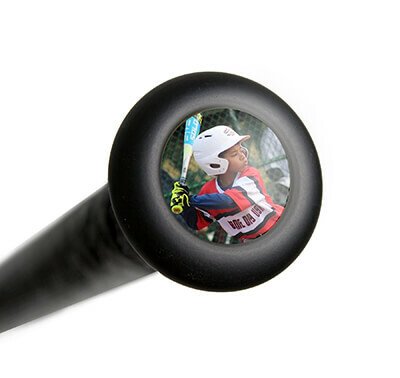 Pros: This bat has great balance and ball-off-bat speed. I've used it for a couple of months before doing this review and it has definitely lived up to my expectations. Cons: It does seem to have a slightly smaller sweet spot than other bats I've owned. Pros: great pop! and awesome feel to the bat nearly silent with great vibration. Pros: The pop is ok on the bat but it still has pop. The durability is amazing. Pros: Looks very nice, nice general feel,great pop and little to no vibration. Cons: Me and the kid on my team who has the bat use it, I used it a couple of times and 8 games into the season I broke the end cap. for $450 IT SHOULD BE MORE DURABLE. Also not as much pop as I thought it would have from last years model. Pros: ive had this bat for a long time now and it is very solid. good pop, no vibration, great feel. really good bat. Cons: the price, $450. my teammate had the same bat but it broke in half, he got the LS prime 918 after and likes that way more, i don't have a problem with mine though. do not use it in cold weather though, it will break. Pros: Decided to go with another brand and get away from Easton because they're bats aren't good anymore. So I went with Demarini and I picked up this bat for a killer deal ($270). Yes, i said $270 but i didn't buy it on here. When I first took this bat to the cage, I had to break it in a little and get use to the bat after using a wood bat all throughout spring and summer. It was very easy to get use too. The feel is amazing and the sweet spot is big. Took more bp with the bat and I was hitting the ball farther and farther each time. I'm 14, 5'8, and 145 pounds swinging a 33/30 and the ball was going at least 310-325. Highly recommend this bat and will buy another Demarini in the future. Cons: My son has used this bat this summer and this fall. Bat never woke up! It has not been as good as the last model. He grabs any other bat and hits 30-40 ft farther. I have put swings on it trying to get it to loosen up . Two nights ago it broke on the barrel. Bat is trash! Pros: It wont break like any of the previous zens. Have a question about the 2018 DeMarini CF Zen BBCOR Baseball Bat: WTDXCBC? Ask our team of experts and they will respond within 24 hours. Obviously, this may be the hottest bat out there, I have a few questions. 1) Will this have all appropriate stamps to be legal in school ball and perfect game tournaments? 2) I'm looking for really low swing weight, I know this bat is balanced but how does it compare to a Rawlings Velo in swing weight. 3) Lastly, what 2018 BBCOR bat has the absolute lowest swing weight? The 2018 DeMarini CF Zen BBCOR Baseball Bat: WTDXCBC is a two-piece fully composite bat with a balanced swing weight design. This bat will feature the necessary BBCOR/0.50 stamps to be legal for high school and college players. As for comparison of this bat to the Rawlings VELO in terms of swing weight, both of these bats will come in roughly 1.5 ounces heavier than the listed weight on the bat. This is a common theme with any bat being manufactured. What are the differences between the 2018 model and 2017 model? Is it just a color change or does it have other features? There are more than just colorway changes on the 2018 DeMarini CF Zen BBCOR Baseball Bat: WTDXCBC when comparing it to the 2017 model. The changes made are seen in the connection point as well as end cap. These changes make the bat more balanced as well as better equipped to reduce vibration from off-centered hits. When looking at the top of the line bats what would you recommend as being the number one bat as far as pop goes? This zen, the new mako ghost, Louisville prime 918, or the quarto. The 2018 DeMarini CF Zen BBCOR Baseball Bat: WTDXCBC is a two-piece composite with a balanced swing weight. It's difficult to say which bat has better pop than the other. All the bats you mentioned are two, three, and four piece composites. It boils down to personal preference when each bat is this similar in composition. Does this bat have the USSSA BPF 1.15 mark permanently stamped? The 2018 DeMarini CF Zen BBCOR Baseball Bat: WTDXCBC has a 0.5 BPF. Which is standard for all BBCOR bats. Does this bat have more "pop" than the new 918 from Louisville slugger? The 2018 DeMarini CF Zen BBCOR Baseball Bat: WTDXCBC will be a BBCOR certified bat. Because of the strict regulations both bats are going to have similar pop. Will this bat be legal with the new requirements for 2018? IE the USA stamp and such? The 2018 DeMarini CF Zen BBCOR Baseball Bat: WTDXCBC does not feature the USA Baseball certification stamp. If that is a requirement for your league this bat will not be legal in 2018. It is best to ask a league official or a coach, as they should be able to provide you with specific requirements for your league. Is this bat more balanced than the 918 from Louisville Slugger? The 2018 DeMarini CF Zen BBCOR Baseball Bat: WTDXCBC and the Prime 918 are both well balanced bats, so it would be hard to say one is more balanced than the other. The Prime 918 is a three-piece composite bat which lessens the feel of sting and vibration on miss hits, whereas the CF Zen is a traditional two-piece composite bat which provides a bit more stiffness. Should I get the BBCOR CF Zen, CF Insane, or Ghost X for my 2018 season? The correct bat to get will ultimately come down to player preference. With that said, the 2018 DeMarini CF Zen BBCOR Baseball Bat: WTDXCBC will feature a two-piece composite design with a balanced swing weight, the CF Insane will have an end-loaded swing weight design and the Ghost X will have a balanced, two-piece composite design as well. If more of a power hitter with above average bat speed then the CF Insane might be a better fit otherwise going with a balanced bat (CF Zen, Easton Ghost X) would suit a contact hitter player. Can I use this bat for travel ball? Yes, the 2018 DeMarini CF Zen BBCOR Baseball Bat (WTDXCBC) is legal for travel ball. This bat is a BBCOR bat and can also be used in high school and college levels. Which bat has more pop? Demarini CF Zen bbcor, or the Ghost X bbcor? With the strict regulation with BBCOR all bats will have similar pop, including the 2018 DeMarini CF Zen BBCOR Baseball Bat: WTDXCBC. Is this a good bat to use for high school as a freshman and what is the problem in reviews about a rattling sound? Is the last year edition good as well? The 2018 DeMarini CF Zen BBCOR Baseball Bat: WTDXCBC is a great option to consider for a high school freshman. 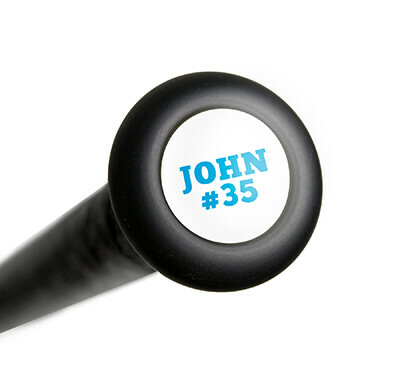 This bat is a two-piece fully composite model featuring a balanced swing weight design. As for the rattling sound, this is common with a lot of bats as this is the result of either the adhesive that is used to secure the end cap to the bat (most bats feature a plastic end cap and if not enough adhesive is used then the end cap could potentially come off during use) or the resin that is used/injected into some composite models. The rattling does not alter the performance of the bat and most of the time will sound like grains of sand or small pebbles. They made some slight changes to the 2018 compared to the 2017 and that would be the connection point and end cap. These two alterations allow for a better vibration reduction equipped bat as well as a more evenly balanced bat. This 2018 DeMarini CF Zen BBCOR Baseball Bat (WTDXCBC) will feature a balanced swing feel. If you would like a CF model with an end-load, you will want to look to the 2018 DeMarini CF Insane BBCOR Baseball Bat (WTDXCIC). What's the best way to break in the 2018 CF Zen & is it safe to use for indoor winter workouts? I recommend breaking the 2018 DeMarini CF Zen BBCOR Baseball Bat: WTDXCBC by getting about 40-50 soft toss swings with it. This bat will be safe to use for indoor winter workouts. Is this the replacement for the CF5 or is the 2018 CF5 not out yet? DeMarini no longer makes the CF5. The model that replaced it was the CF6. The 2018 DeMarini CF Zen BBCOR Baseball Bat: WTDXCBC was the bat that replaced the CF9. Would this be a good bat for a 13 year old about 100 lbs? If the 13 year old player is required to swing a BBCOR bat, the 2018 DeMarini CF Zen BBCOR Baseball Bat: WTDXCBC would be a great option due to it's balanced swing weight. Does this bat meet the new little league requirements for 50/70 and Juniors? Unfortunately, no the 2018 DeMarini CF Zen BBCOR Baseball Bat: WTDXCBC is BBCOR certified and does not meet the new Little League rule. For the new Little League rules in 2018, all bats must have the USA Bat stamp. What is the difference between the Voodoo and Zen? The 2018 DeMarini CF Zen BBCOR Baseball Bat: WTDXCBC is a two piece composite bat while the 2018 DeMarini Voodoo BBCOR Baseball Bat: WTDXVBC is a two piece hybrid bat with a composite handle and an aluminium barrel. I am 14 years old and just now switching to a -3. I'm about 5"3"-5"4" and 110 pounds. What size bat should I get in this DeMarini? We would recommend a 30"-31" length for someone your size. Which would be better for me: a CF Zen or a 918 Prime? I am a freshman in high school. Both bats are excellent composite models. The main difference is the 918 Prime is a three-piece design vs the two-piece CF Zen. This should provide the 718 with a little bit better flex during the swing and better vibration dampening, but at the cost of a small power leak during the swing due to the added bending and flexing. My 13 year old son is transitioning to a BBCOR bat this year, and we"re leaning towards the CF Zen. During fall baseball he swung the Cat 7 and really liked the balanced feel. He is 5" 5' and weighs 125 lbs. Can you recommend a bat size for him? Based on your player's height and weight, I would suggest a 30" 2018 DeMarini CF Zen BBCOR Baseball Bat: WTDXCBC. My son is 15 years old and a freshman in high school, 5'9" and 126 lbs. What size bat and which bat do you recommend, the 2018 DeMarini CF Zen BBCOR or the 918 Prime? Based on your player's height and weight, a 31 inch bat would work best. Both the 2018 DeMarini CF Zen BBCOR Baseball Bat: WTDXCBC and the LS Prime 918 are balanced bats with composite constructions. Neither bat will out perform the other but one may find better vibration reduction with the LS Prime 918. My son is 14 years old. He weighs 105 pounds and is 5ft 3in. What size bat would you recommend? I would recommend the 2018 DeMarini CF Zen BBCOR Baseball Bat: WTDXCBC in a 29 inch or 30 inch bat length depending on the strength of your player. I am an 18 year old senior, 6'2" 160 lbs. What bat do you recommend? Based on your height and weight, I would suggest a 33" 2018 DeMarini CF Zen BBCOR Baseball Bat: WTDXCBC. My son is playing Majors Division 13u this spring. He is 6-2, 195 with a lot of power. He used the 32' DeMarini -5 last fall and loved it, we are thinking of getting the new Zen -3. What size would you recommend for him. Is a balanced bat better or should he consider an end loaded bat? I would probably recommend a 33" length since it will be his first time using BBCOR models. In my opinion, I would probably use a balanced model for at least the first year or so, and then look at end-loaded models once he gets closer to high school age. Is this bat approved for middle school baseball in Kentucky? If your league requires/allows BBCOR bats, then yes this bat will be legal as it has the BBCOR stamp. Would you recommend this bat over the 2018 Easton Ghost X BBCOR? I"m 5"11 170 lbs. I would recommend the 2018 DeMarini CF Zen BBCOR Baseball Bat: WTDXCBC or the 2018 Easton Ghost X BBCOR Baseball Bat: BB18GX in a 33 inch length. Both of these bats are extremely good bats that feature two-piece, fully composite designs with balanced swing weights. The composite material used in each bat is the only big difference. Other than that, some players consider the CF Zen to be slightly more balanced. How many hits does it take to break in this bat? We generally recommend 100-200 swings off a tee or soft toss to break in a composite bat. Rotate the bat 1/4" or so each swing to get a good break in all around the barrel. How many hits does the bat need before it is broken in? We generally recommend 100-200 swings off a tee or soft toss to break in composite bats. Rotate the bat 1/4" or so each swing to get a nice even break in all around the barrel. I'm 16, 6'1" and 185 but planning on gaining around 20 lbs from lifting in the off season. What size bat should I get? We would recommend a 33" or 34" length for your height and weight. Other factors such as how far you stand from the plate, swing efficiency, hand position on the bat, etc can also factor in. Does this bat break in quickly? The 2018 DeMarini CF Zen BBCOR Baseball Bat: WTDXCBC will need around 150 to 200 hits on them to start performing up to their potential. When breaking in a composite baseball bat, it is important to start off at about 50% power and gradually increase as your swing count rises. It is also important to rotate the bat about a 1/4 inch on every swing; this ensures that your bat gets evenly broken in. I just bought my 2018 DeMarini CF Zen BBCOR Baseball Bat: WTDXCBC. So would it be okay if I used it in my tournament this weekend or should I break it in first, but if I do use it would it break? I would recommend 150 swings for maximum performance with your 2018 DeMarini CF Zen BBCOR Baseball Bat: WTDXCBC. It wouldn't be ideal to use before breaking in, but I do not believe it would break. I'm 5'5 and 120 lbs. What size bat would you guys suggest for me? Based on your height and weight, we would recommend getting the 2018 DeMarini CF Zen BBCOR Baseball Bat: WTDXCBC in a 30 inch model. I'm in 8th grade, 5'7", and 130 lbs. What size would you recommend? Per your height and weight, we would recommend getting the 2018 DeMarini CF Zen BBCOR Baseball Bat: WTDXCBC in a 31 inch model. I"m 5"9' and 125 lbs. What size bat should I use? Based on your height and weight, I would recommend getting the 2018 DeMarini CF Zen BBCOR Baseball Bat: WTDXCBC in a 31''. I'm 5'11", 140 lbs, 13 1/2 yrs old. What size do you recommend? Per your height and weight, we would recommend getting the 2018 DeMarini CF Zen BBCOR Baseball Bat: WTDXCBC in a 32 inch model. What is the true weight of 31'? The weight of the 31" 2018 DeMarini CF Zen BBCOR Baseball Bat: WTDXCBC has been coming in right around 29oz. which is pretty standard for most other 31" BBCOR bats on the market as well. My son is about 5'8" and 160 lbs. He plays 13U and usually uses the CF Zen (32"/27 oz) or the Voodoo -5. He is playing in a 14U tourney in July and I need a BBCOR bat. Which would you recommend and what length? If he really enjoys using the CF Zen right now, I think this 2018 DeMarini CF Zen BBCOR Baseball Bat (WTDXCBC) would be an excellent BBCOR bat. Unless, he feels absolutely ready to move to the 33"/30 oz size of BBCOR bat, I would recommend the 32"/29 oz size for introducing him to the BBCORs. When will the 2019 CF Zen BBCOR bat be available? Would you buy the 2018 now if playing fall ball? We do not know an exact release date of the 2019 version of the 2018 DeMarini CF Zen BBCOR Baseball Bat: WTDXCBC. With that being said, if you can locate the size you are needing for the 2018 DeMarini CF Zen BBCOR Baseball Bat: WTDXCBC we would recommend getting this bat as there is not much difference in the 2019 model. Which is better? The Louisville Slugger Prime 918 or the Zen? It is tough to say one is "better" than the other. Both the Prime 918 and this 2018 DeMarini CF Zen BBCOR Baseball Bat: WTDXCBC will be multi-piece composite model bats. The CF Zen does incorporate 3-Fusion technology to reduce vibrations and optimizes the overall: weight, control, and durability. Son is 13 5'0" 105...currently swings zen 30 -8. Moving to 14u in fall. What bat size recommmed for bbcor? Since you are moving up to five ounces heavier, we would suggest staying with either a 30" or moving up to a 31" option. The 2018 DeMarini CF Zen BBCOR Baseball Bat: WTDXCBC is currently available in 30" / 27 oz. My son is 5'7" 110-115 lbs, what size Zen do you recommend? I noticed it doesn't come in a 31 inch. Also, do you recommend the Ghost X over the Zen? Based on your player's current height and weight, I would suggest a 30" BBCOR bat. The 2018 DeMarini CF Zen BBCOR Baseball Bat: WTDXCBC and the 2018 Easton Ghost X BBCOR Baseball Bat: BB18GX are both balanced two piece composite bats, so I wouldn't necessarily say one is better than the other, just a difference brand preference since the bats are so similar. Does this bat come in a 32'' -3 BBCOR? The 2018 DeMarini CF Zen BBCOR Baseball Bat: WTDXCBC was available in a 32'', but we no longer have it in that size since it is an older model. We do have the 2019 DeMarini CF Zen BBCOR Baseball Bat: WTDXCBC19 in a 32''. Can you use this bat in high school? The DeMarini CF Zen BBCOR Baseball Bat: WTDXCBC will be legal for high school play. The DeMarini CF Zen BBCOR Baseball Bat: WTDXCBC is BBCOR certified, which allows the bat to be used for high school and collegiate play. Absolutely the best .com service I've received from anyone!